HyCOMB® Aluminum honeycomb panels are comprised of two layers of metal sheets (aluminum / stainless steel) on top and bottom sides with inner aluminum honeycomb structure in between. The honeycomb structure is known to be lightweight while enhance the rigidity of panels in a large scale. With higher rigidity, the panel itself is extremely flat, allowing it to be one of the most ideal metal cladding material in regards of exterior and interior. It gains its unparalleled upper hand aesthetically, while performing better in physical properties as well as fire retardency. Series of surface coating is available for different applications – fulfilling demands of decoration and protection. Milled finished aluminum honeycomb panels also available for your further lamination. HyCOMB® manufactures from aluminum honeycomb core to the metal honeycomb panels, which enables better control of quality while cutting down the cost. Being one of the best cost performance option, HyCOMB® panels has been applied in numerous major projects worldwide – including massive application on MRT projects of Singapore and Malaysia. 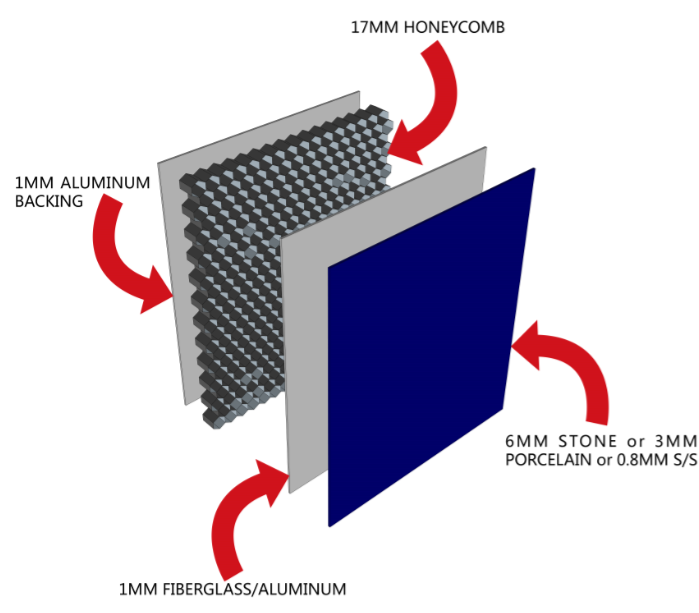 Thermal adhesive films applied in lamination of HyCOMB® metal honeycomb panels. Higher elasticity than traditional glue – allowing the adhesive layer more flexible during thermal expansion and contraction of the panel, so to avoid ‘bubbling’ or even delamination under extreme weather. The film can be applied more uniformly than traditional epoxy since it is in solid form under normal temperate. So it does not require any labor to spray onto the material surface therefore to avoid uneven application of adhesive. 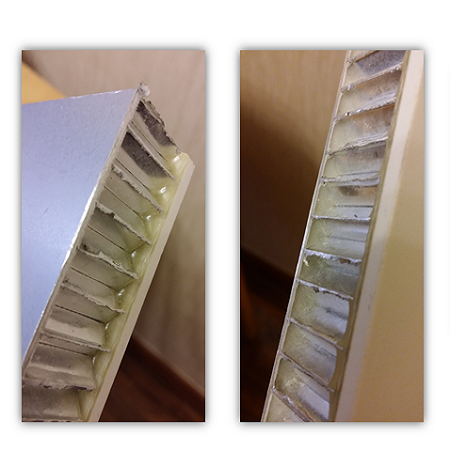 Panels applied with the film performs 3 times stronger in drum peel test when comparing to traditional glues because of stronger bonding strength it could provide. 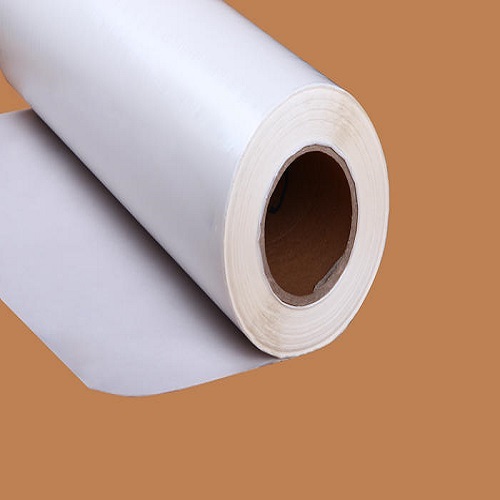 The film significantly enhance work efficiency as process of traditional adhesive application by human labour is skipped. Melting point of the film is above 128 celcius. Therefore it performs way better when comparing to traditional glue, which will start to crack or even breakdown at round 80 celcius. 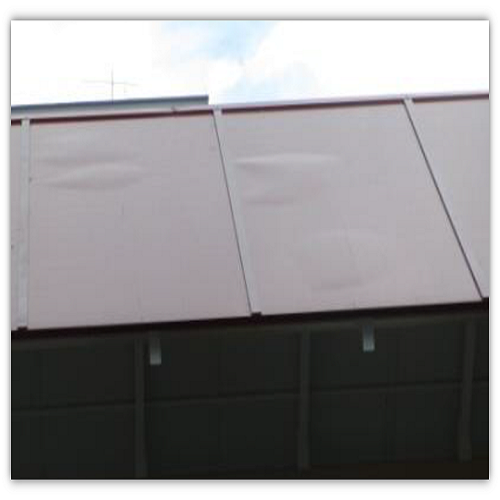 With application of thermal adhesive films, HyCOMB® panels being way better in durability and under extreme weather conditions. Films are in solid form under normal temperature. Way faster application than tradtional epoxy adhesives. To the left hand side is traditional epoxy adhesive. To the right is thermal adhesive film. The film applies more uniformly than the traditional glue. By applied traditional epoxy adhesive the panel tends to fail under rapid temperature change, while the film could perfectly solve such possible risks.